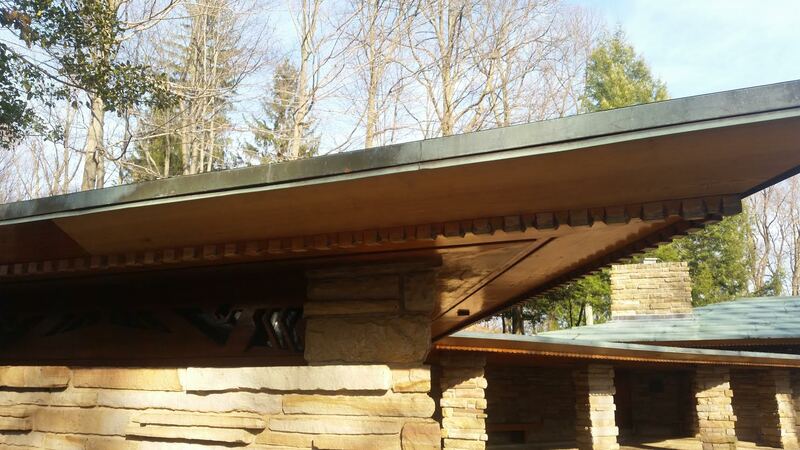 Frank Lloyd Wright was known for his use of low ceilings and flat and cantilevered roofs. He was also notorious for favoring carports over garages, saying that garages (as well as attics and basements) build clutter, and, to him, clutter was the sign of a diseased mind. 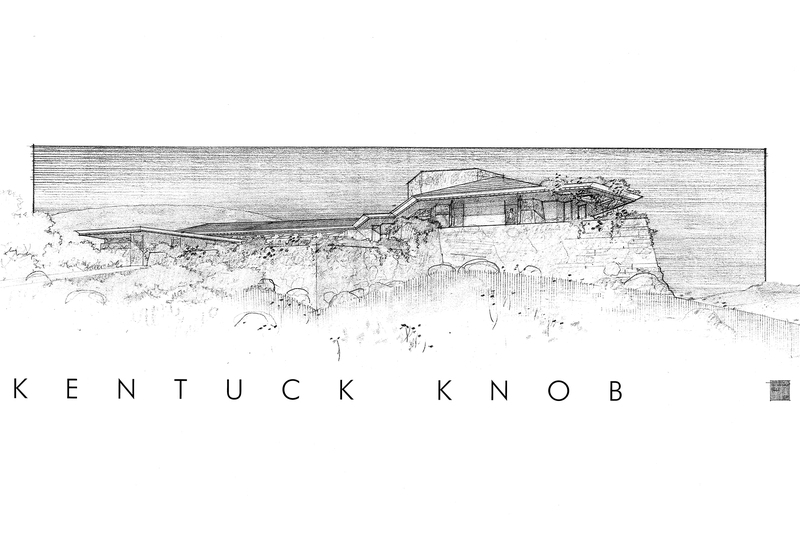 At Kentuck Knob, Mr. Wright designed a 20° pitched copper roof over the living area as heavy snows are common in this region. However, a flat roof was used over Mrs. Hagan’s art studio and the carport. These two sections are adjacent and enfold around the courtyard like a protective arm. The material on top of this section is ethylene propylene diene monomer (EPDM), a rubber membrane, covered with a thin layer of stone ballast. Over time, the rubber began to pull and tear at the seams, allowing for water to leak in and sit under the roof. The most visible damage appeared on the Tidewater Red Cypress fascia board on the corner of the studio. Tidewater Red Cypress is said to be rot-resistant (Mr. Wright referred to it as the “wood eternal”), however, with water sitting on the wood and freezing and thawing often, the fascia board cracked and appeared to have rotted. 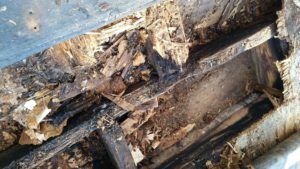 In November 2016, Jason Alexander, owner of Alexander Restoration in Uniontown, PA, was contracted to preserve the roof. 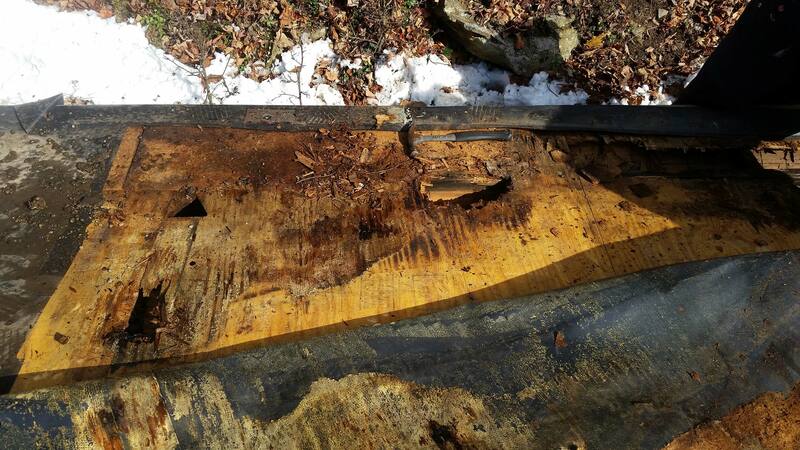 They were able to locate the problem areas, remove the existing stone ballast and EPDM, and replace any damaged wood. 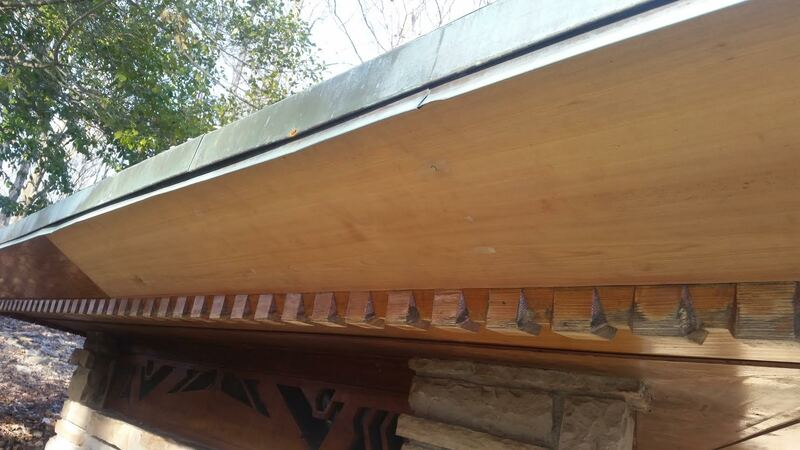 Throughout the process, Alexander Restoration carefully removed any necessary copper to protect the roof from accidental damage and returned it to its original location when appropriate. 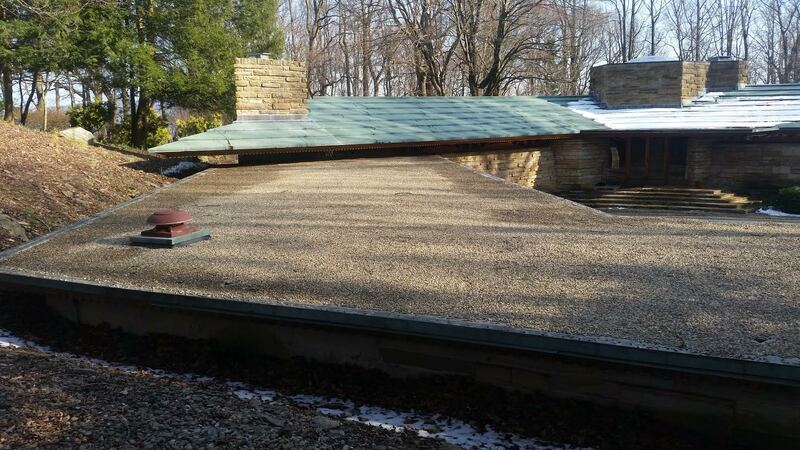 After all wood repairs were completed, Alexander Restoration placed new EPDM on top of the entire roof and our maintenance team replaced the stone ballast. Aesthetically, a large concern was the damaged fascia board. Because the house and materials are over 60 years old, a new piece of Tidewater Red Cypress would not match the color of the older, weathered woodwork. Mr. Alexander replaced the fascia board and recommended we leave it untreated and exposed to the elements for several months before varnishing so that the weather could help it to age faster and eventually match the existing wood. This section of the roof is now as good as new and ready for whatever weather Southwestern Pennsylvania brings.